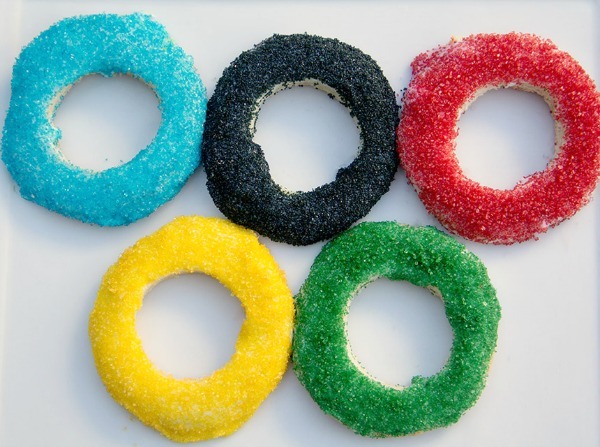 I love the Summer Olympics! 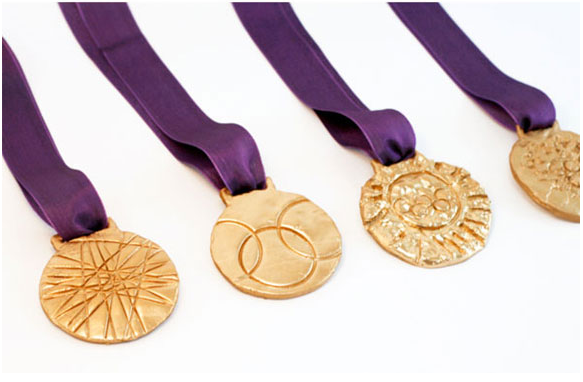 So much so that I actually attended the 2004 Athens Games and the 2012 London Games to watch gymnastics. I got to witness Gabby Douglass win the Team Gold and I even had a Kate Middleton sighting in 2014! 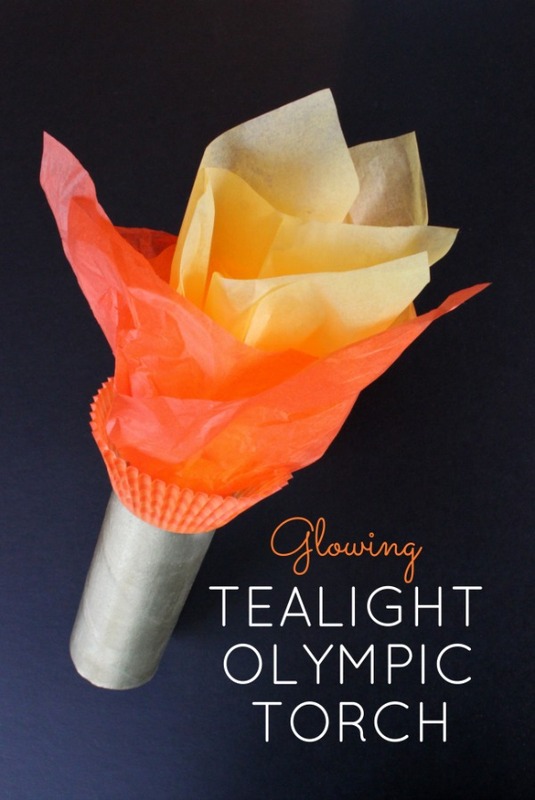 My friends are attending the Rio games, but with a 5 month old and a toddler and the drama surrounding the games, Rio wasn’t in the cards for me this time. But, I’m really hoping I can make Japan happen in 2020. So, since I won’t be there in person to root for Team USA, I’ve decided to bring some Olympic spirit home and do a few fun things with Max. 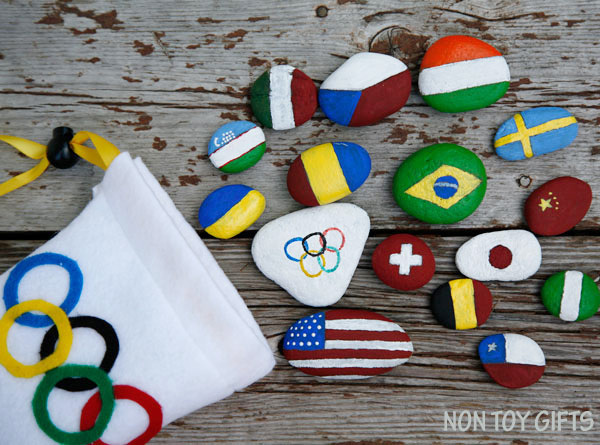 Here’s a list of 16 Olympic crafts and activities for kids, some of which include tasty treats and freebies! 1. 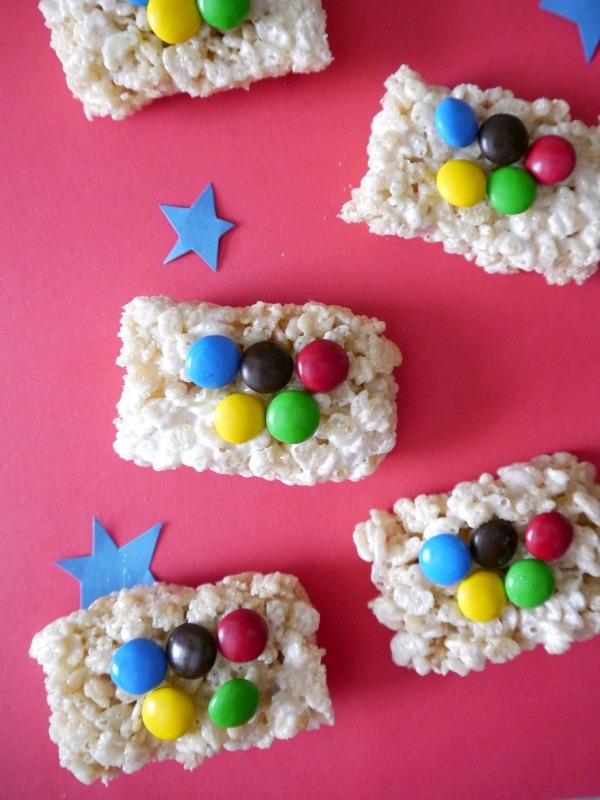 Rice Krispie Treats: This was as easy as making rice krispie treats and adding M&M’s for the rings. I ended up making it educational by having max color sort the M&M’s. 3. 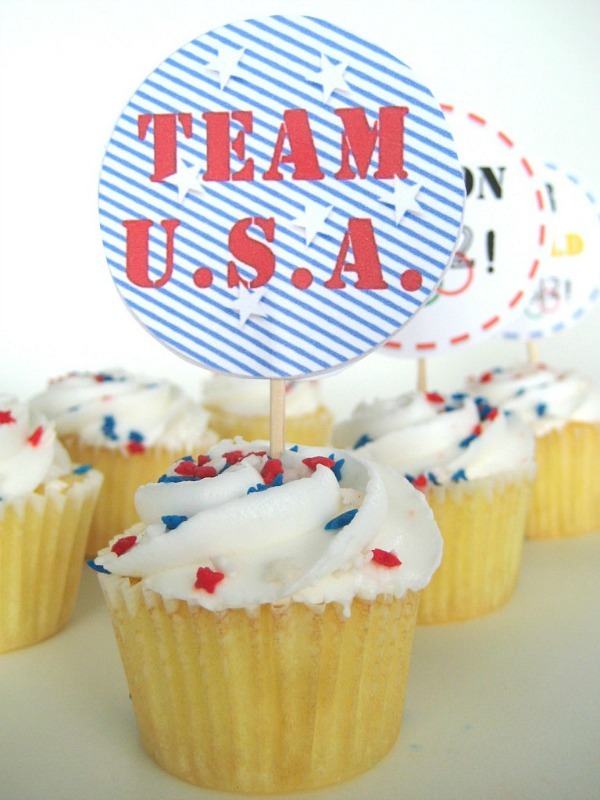 Cupcake Toppers: I actually made these for the London games, but the Team U.S.A. cupcake topper can be used again and again! 16. Backyard Obstacle Courses: Any kind of obstacle course that gets kids moving and is competitive in some form or fashion! 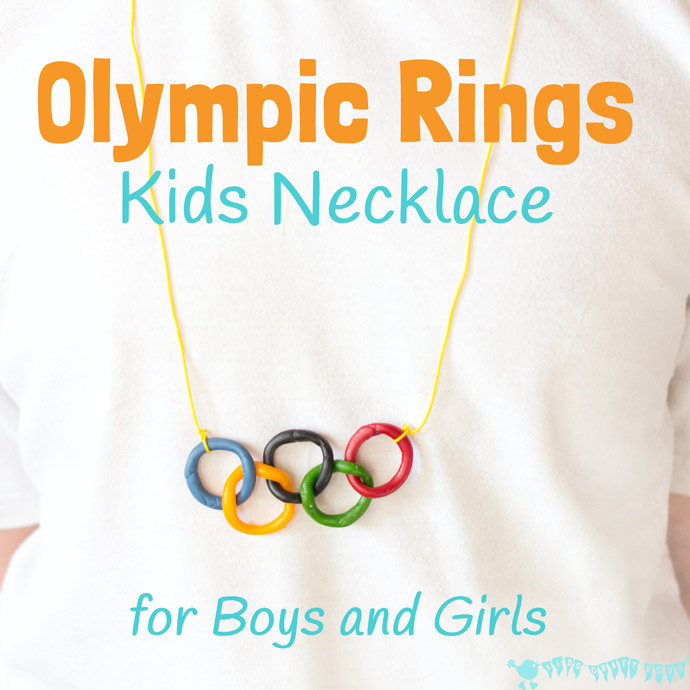 Are you a fan of the Olympics? 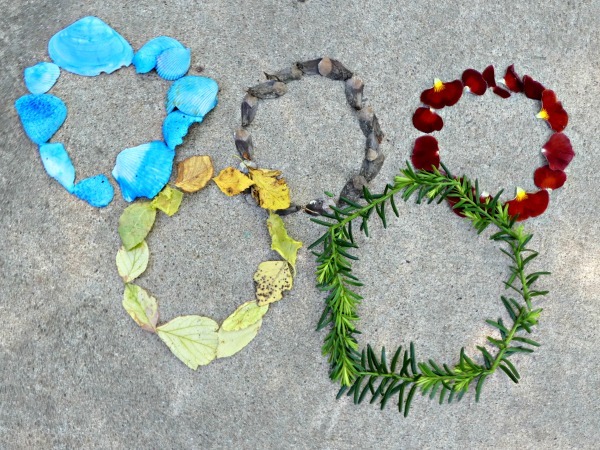 And just curious, do you like the Summer or Winter Olympics better? 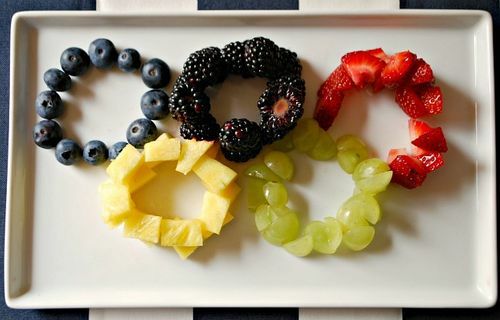 I like watching both summer and winter olympics! 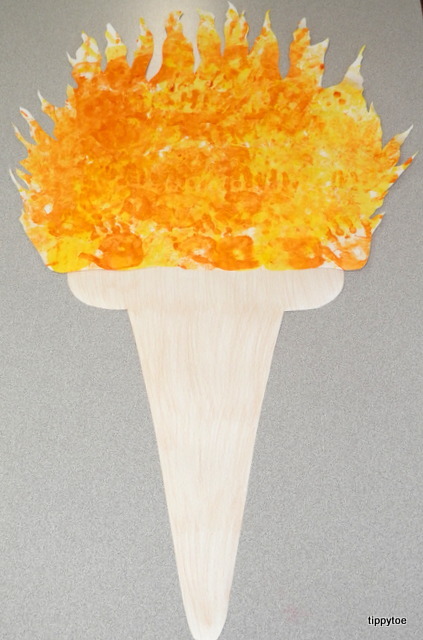 All these ideas are so cute…as soon as I found my favorite idea, I found another favorite immediately to replace it, lol. Good job rounding these all up! 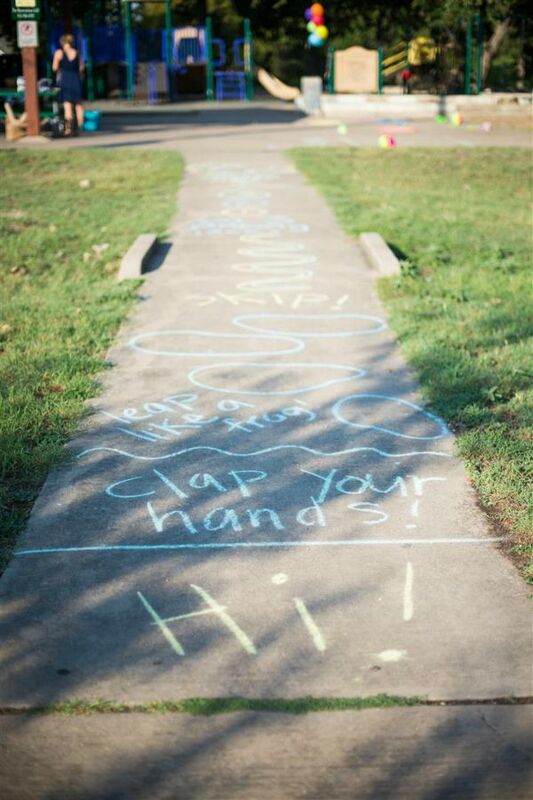 Thanks so much for sharing at the Family Joy linkup! Hope to see you again next Sunday! 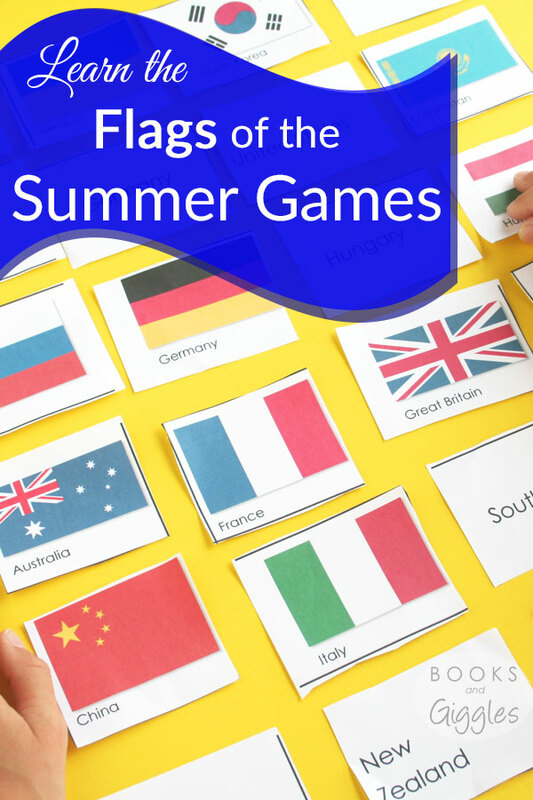 These are all great ways to get the kids involved and excited about the Olympic events. Thank you for sharing this with us on the #HomeMattersParty. Hi, Jamie. 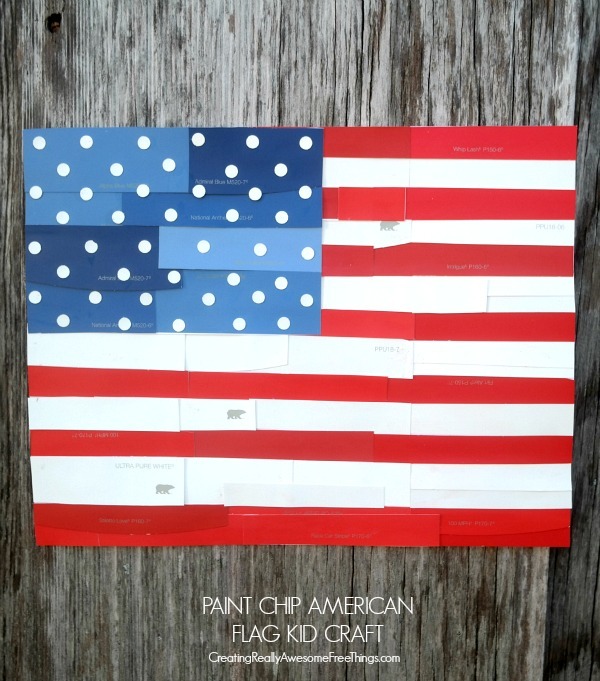 thanks for sharing this awesome creative ideas. I cant’t wait to start to play with my daughters in this summer. Thanks for sharing at the #InspirationSpotlight Party! Pinned & shared.